20th Century Fox has been trying to figure out how to proceed after Josh Trank's horrible Fantastic Four flop. After pretty much giving up on the idea of a sequel, we recently heard about a plan to develop a new movie focused on Reed and Sue Richards' kids, Franklin and Valeria. That may still be in effect, but another idea has emerged from Comic-Con's Legion panel, and it involves the Fantastic Four's archenemy, Doctor Doom. Fargo and Legion showrunner Noah Hawley revealed at the end of the panel that his next move will be really interesting to fans of the FF. "Two words. Doctor. Doom", he said to a stunned crowd. THR says Hawley is in talks to write the script with an eye towards directing it himself. The film will be centered on Doom, but that's all we know at this point. 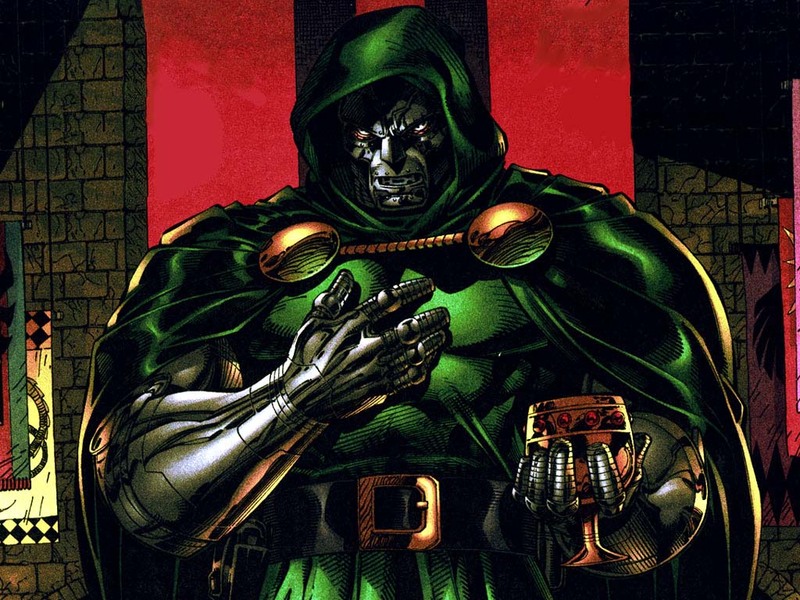 Doctor Doom is really the main enemy of longtime rival of Reed Richards, growing to hate him during their time in college. He is a technological genius of equal standing, but also has mastered the art of dark magic. In the comics he runs his own country, Latveria, where he rules with a (literal) iron fist yet the people love him. Toby Kebbell played him in Trank's movie, while Julian McMahon donned the metal mask in Fox's 2005 and 2007 movies. As for the kiddie reboot, Seth Grahame-Smith, who recently left Warner Bros.' The Flash and had a hand in penning Trank's FF movie, is still attached if Fox decides to move forward on it.